There are many myths about culture shock. I want to explain some of them so everyone can truly understand what culture shock is. It is important to understand what culture shock is so that when it happens to you, you can take the right steps to overcoming it. Myth #1 Culture Shock happens all at once. Fact #1 Culture Shock happens slowly and gradually. What happens is your defenses are weakened until it is at zero. Fact #2 Culture Shock is you going crazy. When you have a mental breakdown due to the weakened defenses of being in another country. Myth #3 Culture Shock can happen on a one week vacation. Fact #3 You must live in a country for a long period to experience culture shock. It can take weeks or a few months for this to take place. It depends on your situation and environment. Myth #4 It won’t happen to me. Myth #4 Culture Shock happens to everyone. I realize I am going through Culture Shock right now. It has been coming on slowly and I know it is not completely here yet. I can feel the stress of finding a job, finishing assignments, and meeting new people weighing down on me. I love the course I am taking. I know it is preparing me for what will come. Although, the work load is intense. I have lesson plans, quizzes, assignments, and lecture. 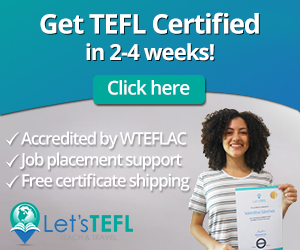 This course should be done in 6 weeks instead of 4 weeks. The stress of choosing a job is huge. There is a school that I want over any school here. They are waiting for the current teacher to decide whether she will be staying or leaving. This is stressful because I got another job offer that would be a good fit, not the perfect fit though. I don’t want to lose this job offer waiting for the other school to decide. Letting go and trusting my intuition is a hard thing to do. If I just let go and listened to my intuition I would have less stress. My defenses wouldn’t be breaking down as quickly. 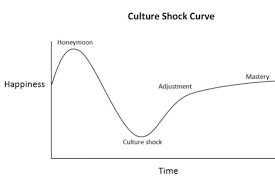 There are different phases of culture shock: the honeymoon, the frustration stage, the adjustment stage, and the acceptance stage. This stage happens when you first get to a new country. It is the positive and excited stage. When I got to Costa Rica I was full of excitement and energy. I was in awe of all the differences between the US and here. It was wonder and exhilaration. like any thing else this stage can eventually go away. This is the stage I am in right now. It is also the most difficult stage from what I have read. This is the stage where small things begin to get to you. For me, it is the people in my class and not having an answer from one of the schools. I am frustrated with not feeling 100%. I have had headache and body aches the last few days. I do not cope well when I am sick. I don’t miss home. I really like it here. I just want to get started with getting into a routine and having a job. It is frustrating not being able to plan ahead for things like housing. I want to get to this stage. I want to begin adjusting. I want to find a permanent place to stay. I want to start taking Spanish classes to improve my Spanish. I want to be able to make friends that are along the same wave length as I am. I want to figure out where I will be so I can figure out how to navigate around the new place. This stage can come weeks, months, or even years after dealing with frustration. This is the final stage. 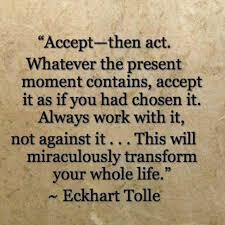 It is about accepting and adapting to a new way of life. You have to build a new foundation of how to deal with the different things that will come at you when you are some place new. I am use to having my monthly trips to IHP. I am used to having my girlfriend’s to hang out with and bounce Ideas off of. I am used to having my fiancé be there to comfort me and show me it is going to be okay. I have some of this because I can easily call or text home. I have to accept that things are different here and it will take time to create new relationships and stress relievers for myself. One thing I have learned is that we have the choice to determine how long this process takes. We are the only ones who can do the work to get through the different stages. We have the choice to take care of ourselves and give ourselves the space to look at the emotions. Looking at the emotions and the thoughts that are raging through our bodies is our choice. The sooner we look at them and come to accept that they are there, the sooner we will get through the stages. Patience is the number one thing we need because it won’t happen overnight. Although, we can make sure it doesn’t take years or months. We can make sure that we stay positive and love ourselves though the different stages. It won’t last forever. And life does become normal again.